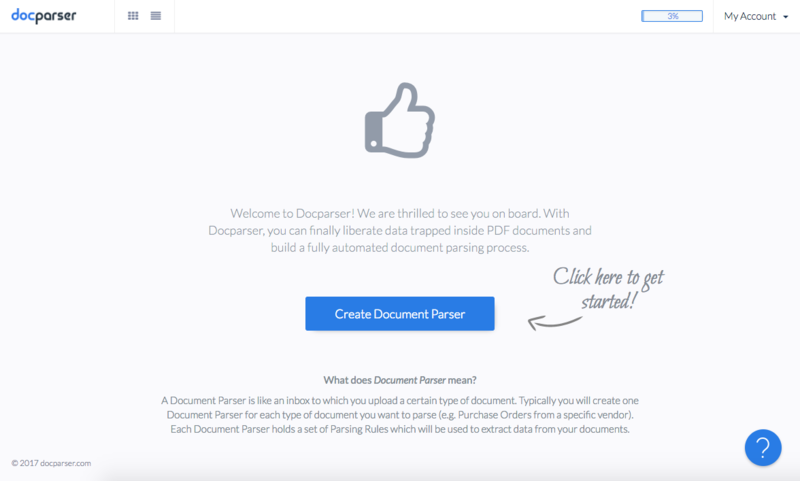 Kickstarting your setup is simple, just click on “Create Document Parser” on the welcome page of the app. 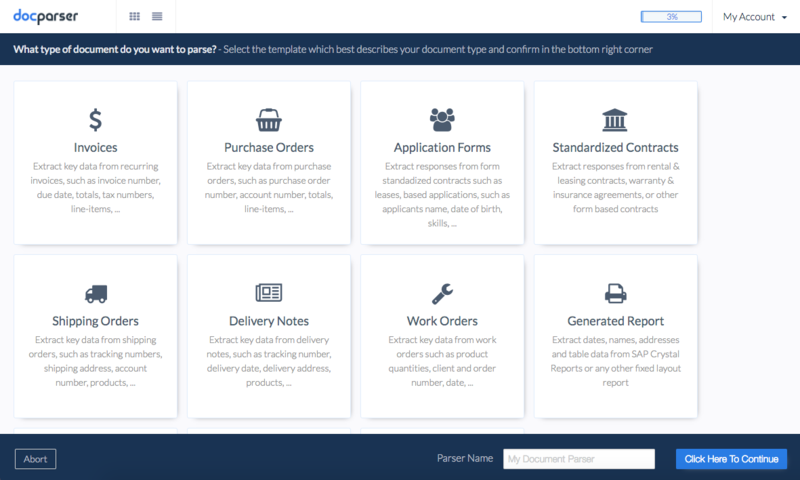 You will then be presented with common document types from which you can choose the one which best describes your use-case. Your use-case is not listed? No problem, just choose “Miscellaneous” and then continue.